On 21 August 2014, I received an admission letter from the University of KwaZulu-Natal (UKZN), allowing me to pursue a PhD in Environmental Studies. My studies would be supervised by Prof. Trevor Hill and Prof. Bimo Nkhata, and supported by the International Water Security Network (IWSN), which is funded by Lloyd’s Register Foundation. I remember this date very as well as it coincided with the week of my 30th birthday. This really was one of the best birthday gifts I have ever received. After months of scratching my head and going round in circles – as is common for PhD students – I finally came up with a research theme: examining trust and reciprocity in water quality management in river basins. Through the IWSN, I was lucky enough to share my research ideas with several experts – Prof. Chad Staddon (IWSN Director), Prof. Charles Breen (Emeritus Professor – UKZN), Prof. Robert Varady (University of Arizona), Dr. Mark Dent (University of KwaZulu-Natal), Dr. Adrian Nel (University of KwaZulu-Natal), and others. With IWSN support, I was also able to attend a number of conferences and events, including Insaka Symposiums, and workshops organised by the Institute for Natural Resources (INR). As a novice scholar, this was one of the best things about being involved with IWSN – its ability to bring together various experts in our field, resulting in the cross-pollination of knowledge. Eventually, my research was formed: “Social Relations and Adaptive Governance: A Social Exchange Analysis of Water Allocation on the Kafue Flats of Zambia.” The research examined the role of social relationships in adaptive governance processes for water allocation using the case study of the Kafue Flats, and aimed to contribute to the IWSN research agenda of advancing a paradigm that underscores the social, economic and political processes in achieving water security. The PhD thesis was made up of three journal articles of which one has been published in the Journal of Water Policy, and the remaining two are under review for publication in the International Journal of Commons (accepted and under second round of review) and the Journal for Society and Natural Resources (under review). These papers are organised under a collective research theme of highlighting the role of social relational processes of adaptive governance for achieving water security. Some of the policy implications of the study include the following. First, several countries in Southern Africa (such as Zambia) have enacted laws that provide for the sustainable allocation of water resources, including for the environment. These laws provide for the establishment of multi-stakeholder platforms at catchment and sub-catchment level. My PhD research highlights the need to take into account differential control and access of water related infrastructure, discourse and institutions among various water users in river basins. Second, the research further highlights the role of societal values and priorities in determining water allocation regimes. I assert that water security as a paradigm for water allocation entails recognising societal preferences, and trade-offs among multiple and often competing uses, while placing primacy on allocating water for ecosystem functioning and services. Third, the research highlights the role of social relationships in adaptive governance processes by drawing attention to collaborative and adversarial social relationships characterised by varying stock of trust, reciprocity and shared water related outcomes. The research argues that the higher amount of trust and reciprocity among water users, the higher the likelihood for adaptive governance for mutually desired water allocation outcomes. 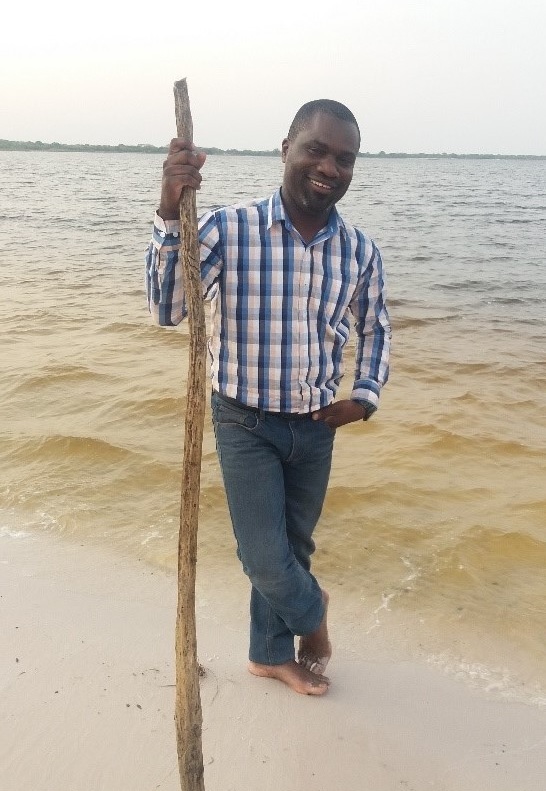 Upon the successful completion of my studies in autumn 2018, I joined the World Wide Fund for Nature (WWF) Zambia as the Barotse Landscape Manager for a Program on the Upper Zambezi Catchment. The skills, networks, knowledge and confidence I gained from being part of IWSN has enabled me to continue to strive to make a meaningful impact in conserving one of Africa’s iconic rivers – the Zambezi. I would like to thank the International Water Security Network and the Lloyd’s Register Foundation for enabling me to pursue the dream of completing a PhD. I hope to continue to be involved in the activities of IWSN and contribute in any way I can. Natotela Sana (meaning ‘thank you very much’, in the Bemba language).